Keeping up with which foods to eat and which ones to avoid could be a full-time job. That’s because scientists continue to learn more about what we put in our bodies. Some of their latest findings could change your mind about fat. Twenty years ago, doctors told us to stay away from high-fat foods like eggs, bacon, and butter because they raised cholesterol and could lead to heart disease. America responded and stopped eating fat. In its place, however, we ate more sugar and other carbohydrates. How did that work out? Not great. As a whole, Americans grew fatter and sicker than before. Scientists back then may have reached the wrong conclusion. Now a growing number of medical experts say weight gain, heart disease, and other illnesses are not caused by high cholesterol, but by something different: inflammation. That means instead of avoiding foods that raise our cholesterol, we need to avoid foods that cause inflammation. Dr. Beverly Teter, a lipid biochemist at the University of Maryland, studies how the different kinds of fat in food affect our health. Teter said scientists wrongly blamed cholesterol for heart disease when they saw high levels of it at a damaged blood vessel. Teter believes the body put the cholesterol there to fix the problem, which was actually caused by inflammation. Research also shows cholesterol can protect against respiratory and gastrointestinal problems, and helps create vitamin D. People with higher cholesterol live longer. Teter said that’s a scientific fact that she can vouch for personally. Cholesterol is especially important in the brain, which contains more cholesterol than any other organ and needs it in order for a message to get passed from one brain cell to another. Therefore, Teter said when it comes to food choices, don’t worry if it raises your cholesterol. Focus your attention instead on whether it reduces inflammation. 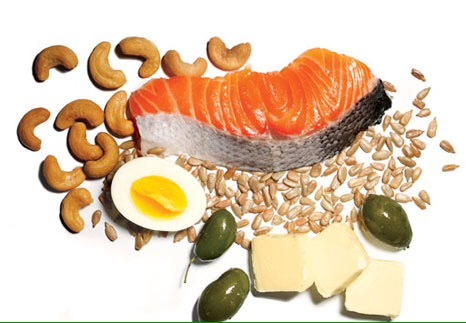 When choosing which fats to eat, pick the ones that are high in Omega 3 fats and also choose natural saturated fats. On the other hand, stay away from the fats that lead to inflammation, such as trans fats and Omega 6 fats. 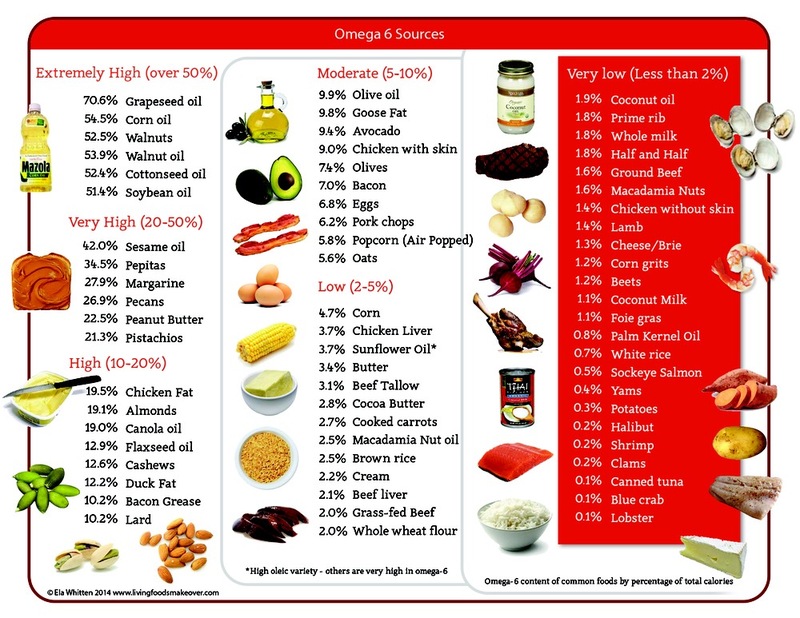 How to you tell the healthy Omega 3s from the unhealthy Omega 6 fats? Vegetable oils and mayonnaise contain Omega 6 fats, so be careful with how much you consume. Ideally, Omega 6 fats are healthy but only when consumed in the same amount as Omega 3 fats. The typical American, however, consumes 15 times more Omega 6 fats than Omega 3s. This imbalance creates inflammation. So cut back on the Omega 6s and increase your consumption of Omega 3s. These are in foods like olive oil and avocados. Cold water fish is an excellent source of Omega 3 fat, particularly DHA, which is a super brain booster. One great way to make sure you’re getting enough Omega 3, specifically DHA, is by taking a fish oil supplement. Doctors recommend one that contains at least 750 mg of DHA daily. At one time dieticians considered margarine, which is a trans fat, heart healthy. Doctors now say a better choice is butter. In the last 20 years, trans fats have become the ingredient of choice for almost all processed foods. You can tell something contains trans fat if you see the word “hydrogenated” in the list of ingredients. Saturated fats have really gotten a bad reputation over the last couple of decades. But they are not as bad as they have been made out to be. In fact, doctors recommend eating some saturated fats every day, such as coconut oil. This saturated fat fights colds and the flu and has even reversed the symptoms of Alzheimers, ALS and Parkinson’s Disease in some people. You should also remember those non-fat foods that make us fat and increase inflammation contain sugar and refined carbohydrates. Anything containing high fructose corn syrup or other sugars leads to inflammation. So do grains, especially refined grains such as white bread, pasta, rice, and so on. 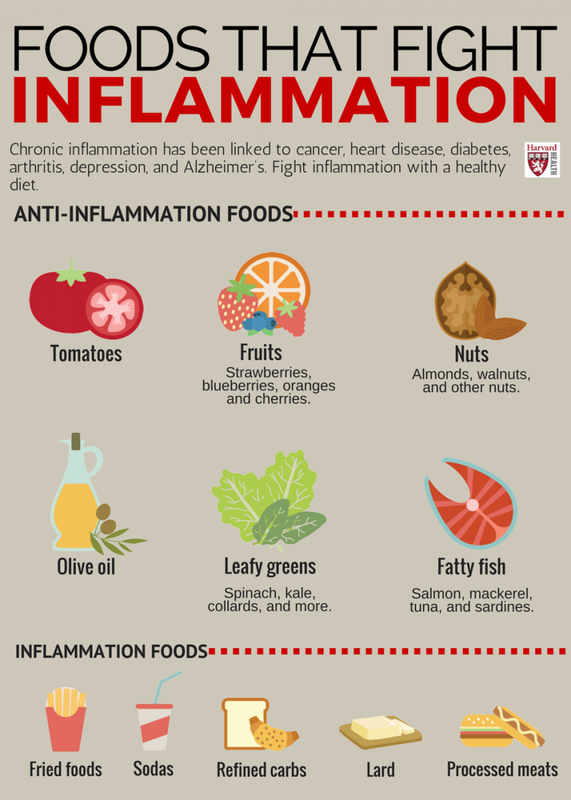 So when it comes to your health, inflammation beats out cholesterol as the new enemy. Take it on by saying “yes” to foods like fish and coconut oil, and “no” to sugar and carbohydrates, and dangerous trans fats. *Originally aired February 1, 2013.